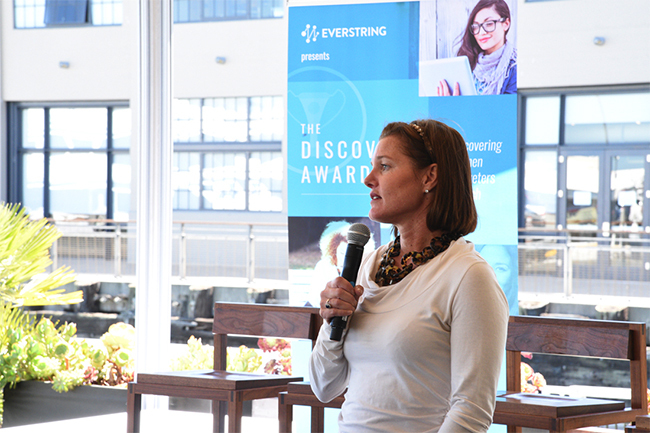 Earlier this week the LinkedIn Marketing Solutions team attended Everstring’s Discovery Awards, recognizing women in tech with eight years of experience or less. 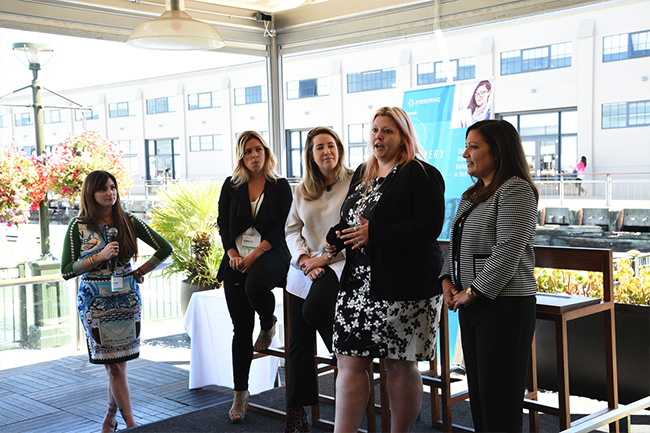 To help mentor and further inspire this group of rising stars and innovators, the event featured a powerhouse panel of marketing mavens such as Corinne Sklar, CMO of Bluewolf IBM, Maria Pergolino, SVP of Marketing at Apttus, and Charm Bianchini, Senior Director of Enterprise Marketing at Marketo. 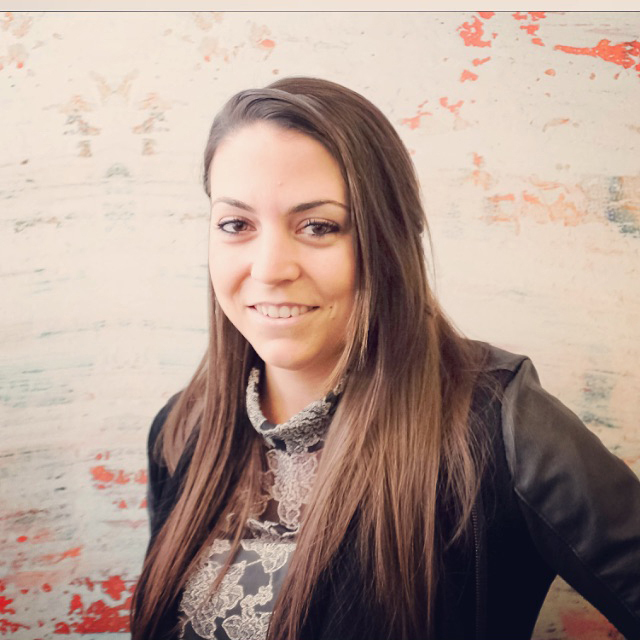 The panel was moderated by Everstring’s VP of Marketing Dayna Rothman and also featured the event’s grand prize winner Emily Popson, Senior B2B Marketing Manager at Blackbaud. The panel shared invaluable advice for young marketers rising in their careers, including the importance of work life balance, networking and helping to build others up along the way. Whether you’re just starting your career or a well seasoned vet, whether you’re male or female, take note of the following 5 career tips for marketers. Before the panel, keynote speaker and social selling evangelist Jill Rowley kicked things off with a discussion about the importance of throwing the idea of ‘perfection’ out the window. Once upon a time, Jill sat down and made a list of her personal keys to success. Passion, purpose and persistence were all accounted for. “Perfection was never on the list,” Jill said. It’s not easy to push your boundaries and take risks, but it is important to do so and even more important to not fear failure. Jill admitted to messing up multiple times in her careers. “I’ve made the wrong decisions - and you will too,” she said. Once you accept that perfection isn’t a thing, you can allow yourself to grow more fully. This piece of advice applies far beyond just your career - you should always strive to be true to your most genuine self. In many cases, your uniqueness and quirkiness is what will set you apart from the crowd, and you should never dull your shine for anyone. As Maria said, “If I tried to be the perfect corporate citizen I don't think I would have gotten this far." Similarly, Dayna pointed to her tattoos and assertive personality as testament to the fact that the idea of what a female executive ‘should’ look like is a dated, irrelevant concept. You might think delegating is just getting the stuff you don’t want to do off of your plate. Right? Wrong. “If you're moving up in your career, make sure you understand the power of delegating,” Corinne said. Delegating shouldn’t be about asking others to complete tasks you’re not too keen on doing, rather it's an opportunity to help less experienced team members grow into their careers. “Give full projects and things that you’d be excited to work on,” Maria said. As you rise, take others with you. As Jill so boldly put it, “your network is your net worth”. Always be learning, always be growing and always be networking. Grow your network with people who can help you get to where you want to be -- not just with people who are where you are right now. Networking both online and offline is like building a supportive community. It’s also a great way to find a mentor - someone to guide you and push you. Networking might feel a little unnatural at first. But as Corinne said, “The weird is good”. Embrace the weird.